When we talk about literature, the first things that come into mind are novels, plays, prose, poetry, and even music. When you are asked to write a literature essay, it means that you are about to explore a certain piece of art. A literature essay is indeed a form of writing that must be carefully written. It requires both imagination and creativity as you explain and expand someone else’s work. Mostly, students are given this task to test how well they understand a written text. So, if you have problems and do not know how to write a literature essay, just go after the following advice. A literature essay requires a close reading. But before you can do that, you have to find a good piece of literary work first, which will be the subject of your essay. You also have to fully understand that piece of work before you can start writing. Just because a literary piece of work is usually long in context doesn’t mean that a literature essay should also be long. All you have to do is to make your own opinion and present your own point of view. A literature essay should also be written in third person and your arguments shouldn’t be one-sided. Whenever possible, only use quotations that are short, yet, punchy. Don’t leave a quotation as if it speaks for itself. You also have to relate it to what you are writing. If you forgot the exact words used in the text, paraphrase it using your own words and do not use quotation marks instead. An introduction for a literature essay doesn’t have to be long. As long as it clearly states your point of view regarding the topic, then it is more than good enough. It should signal the readers on what is coming up next in the subsequent paragraphs. Express your own viewpoints in the body paragraphs. You can use quotations to support your points and make sure that each point relates to the topic. Include information, which is relevant to the main idea. 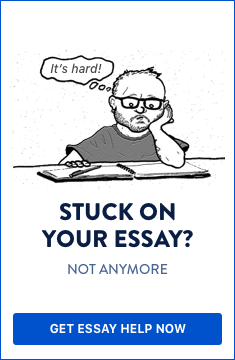 The body of your essay must be in accordance with the development of your arguments and not with the order of the literature you are exploring. The summary of your main arguments must be included in the conclusion in relation to the thesis or main idea. Do not end your essay by raising a question. Your arguments must be concluded using a strong statement. Writing a literature essay means presenting your own point of view towards a certain piece of writing. It is a sort of an explanation of another writer’s work. Most of the time, it is a way of finding out whether or not you have fully understood the author’s viewpoint. So, learn the above tips on how to write a literature essay and prepare for your next assignment in school.